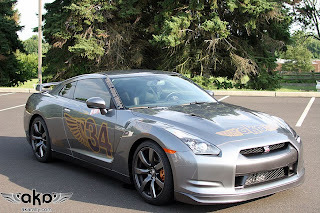 "I think this will be the first US production GT-R to be driven in something like this. We will be starting in NY on the 18th and driving to Las Vegas (with some stops at a track or two). The AKA Rally will be covered by SPEED channel this year and will be with us recording for a 6 episode miniseries to be aired in the winter. If you want more information on the AKA Rally, you can check out their website www.AkaRally.com . I have also started a blog to document some of the prep work and the crazy stuff we will be doing during the rally and you can check it out here http://AkaRally.com/gtr "
Good luck with that. New York to Las Vegas.